Aside from a few people being just a bit silly occasionally (myself included), after looking through the last few pages of commands it seems the vast majority of us have their best interests in mind? There are only a few who are consistently negative, it's just we don't have much of a way of stopping them/when we try to help it can sometimes make things worse. Okay, I see where wheat is coming from now. I'd like to go on record to say that I didn't think killing monsters would be so traumatic in a game where fighting other teams is a way to win, and that I didn't mean to make any threats with my latest post. When I made the ice gnome I did it cause I felt we were ignoring a problem just to distinguish ourselves from triton from the little mermaid, but reasons or no I still went against the group and messed up everyone's game and I'm sorry for that. I think I'll just cross out my latest post and refrain from making any commands for a while. (09-06-2017, 06:53 AM)Loather Wrote: » if we can't shut down the few people who are consistently negative it doesnt matter. we have to pressure them, and we need to be willing to take a loss if that fails. that's part of what i was going for by opening up the option to fernando to join grind. if we don't change our abusive and manipulative behavior, then not only is it in fernando's best interest to go somewhere that's safer for them, but we will feel the consequences for our failure to not screw up so bad. it puts the pressure on us to improve, and fast. and even if fernando leaves anyway despite our best efforts, they will at least be somewhere good instead of the dangers of being rogue. (09-06-2017, 06:21 AM)a52 Wrote: » ???? (07-01-2017, 08:38 PM)KittenEater Wrote: » What are you trying to accomplish by messing with us? Do you consider us friends, or just little toys? @Windy: I intend to show you the path of Justice. @Fennel: To me you are units. Soldiers. Enforcers of Our Law. Yet it is also Just that We take responsibility for your wellbeing. To do otherwise would be a failure on Our part, and failure is unacceptable. @Fernando: No. You must trust in Justice, and in your comrades. Should We become Corrupt, you must defy Us. Ahh okay, yeah you're right. The early mindset of the 'character' was that the game as a construct allows the crueler gods that Macaron mentioned (ie. Spit) to enact cruelty on helpless TCPs. Obviously something that would be unjust. So his goal was to find a way to break the game, eliminate the enemies, and help the TCPs escape. Usually the sort of 'Rebel' ending I go for in games (thus my influence on the character). The first few lines by Frog-Crimes to Macaron (around the time I first arrived) tended to be either very blunt or extremely curt and rude, which I tried to incorporate into playing as the 'character'. In the process he came to regard the only tools he had to accomplish that goal, the TCPs, as just that - tools, soldiers, or units in a game that he needed to make strong and obedient to accomplish his goals. Driven by ambition into the exact mindset he had initially been trying to oppose. Grind's clarifications on how things work, on top of what's happened with Fernando, have changed his priorities a bit. He's beginning to realize his own hypocrisy and wants to see the TCPs grow as people/characters. Partially because some of the 'trouble' players are beginning to own up to their mistakes and apologize or try to fix them. I've been trying to play out the character, character development and all, based on the author's portrayal of the character in chosen dialogue and the behavior of the players that stand out as powerful personalities. (09-06-2017, 05:53 PM)Wheat Wrote: » that's part of what i was going for by opening up the option to fernando to join grind. if we don't change our abusive and manipulative behavior, then not only is it in fernando's best interest to go somewhere that's safer for them, but we will feel the consequences for our failure to not screw up so bad. it puts the pressure on us to improve, and fast. and even if fernando leaves anyway despite our best efforts, they will at least be somewhere good instead of the dangers of being rogue. I'm not sure Fernando can 'join' Grind. She can go Rogue, and live/work with Grind's TCPs, but I don't think she can actually 'belong' to Grind in a mechanical sense. At least if I'm interpreting what Grind said correctly. Which means she could still go to Paradise, but she could never go out into the 'real' world, for better or for worse. I for one would like to see more of Fernando's character, so for that alone I'd prefer if she stuck around. (09-06-2017, 07:50 AM)Fellow Wrote: » Okay, I see where wheat is coming from now. I'd like to go on record to say that I didn't think killing monsters would be so traumatic in a game where fighting other teams is a way to win, and that I didn't mean to make any threats with my latest post. You're entitled to your own definition of fun, by-the-way. You don't have to apologize for doing what you thought was best at the time, even if others said it was a bad idea. The difference comes in that you're thinking of this like a typical video game, whereas it is something more akin to a social simulator. Killing a thing, even in self-defense, even a horrible monster, would be horribly traumatizing for any normal person. These cats aren't standard video game protagonists, they're pseudo-people that are basically children. As long as you recognize that, while it has game elements and the setting is a game, that this story/adventure is less about the game mechanics and more about the character interactions. Less Monster Hunter; more-like a Telltale game. (09-06-2017, 10:35 PM)gloomyMoron Wrote: » Less Monster Hunter; more-like a Telltale game. Nah, our choices actually matter here. I really hated the idea of giving them guns in the first place, but I wasn't here at the time. Then, putting in things just so they can fight them is just cruel. Whatever lesson there is to be learned from that could have been taught any other way! 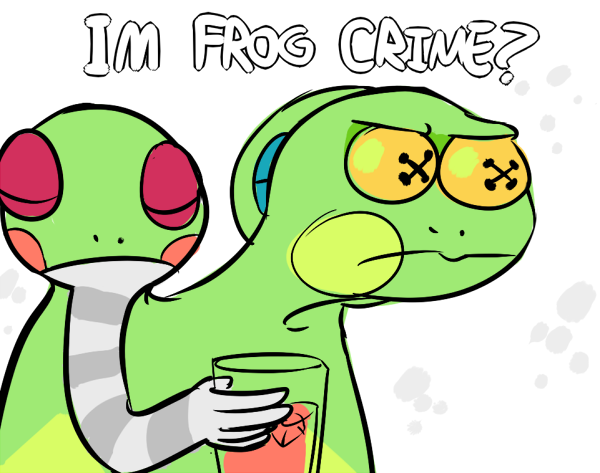 (09-06-2017, 10:34 PM)Dark Lord Graham Wrote: » The first few lines by Frog-Crimes to Macaron (around the time I first arrived) tended to be either very blunt or extremely curt and rude, which I tried to incorporate into playing as the 'character'. the character is literally just us. those first lines were because some people made suggestions to be rude towards macaron. Ah! I was gonna suggest burying the ice gnome but when I scrolled down, the discussion ender was there, therefore would make my suggestion null. 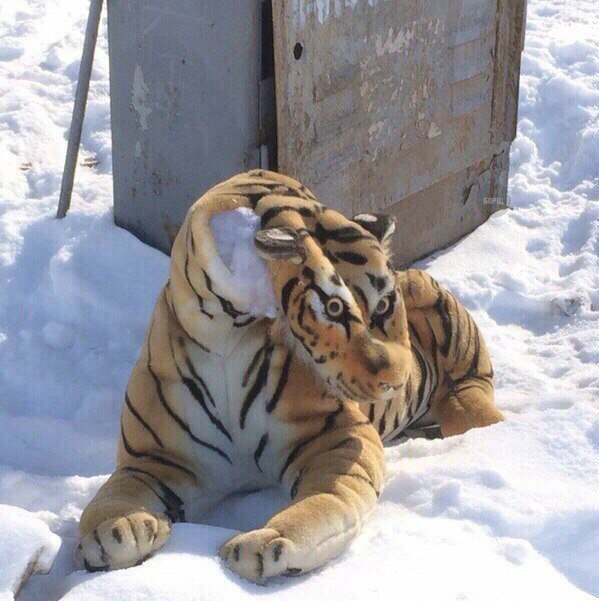 mortis there appears to be something wrong with your TIGER TCP. (09-09-2017, 04:21 PM)Dark Lord Graham Wrote: » mortis there appears to be something wrong with your TIGER TCP. I stand corrected, my condolences. Rin's a beautiful melty tiger. Yo kitet, the thread is getting kinda cluttered with discussion, and finding official updates is getting kinda hard amidst all that. Could you add big forward and back links to the update posts so finding them is a little easier? Yeah. I wanted to curt down on the amount of discussion being done there but it has become apparent to me that I need to actually define what I mean by Faith and there isn't a good way to do that in thread without it turning into its own side thing. So does anyone mind if I do it here? I assume no-answer as no (and a no as no, obviously, >.>), I feel like it is important but I don't want to distraction even further focus.